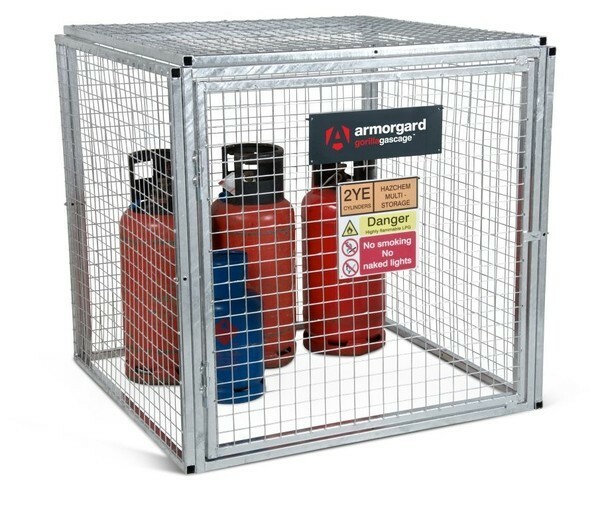 The unique galvanized security cage specially designed for storing gas cylinders. Robustly constructed using 25mm box sections and 3mm wire mesh, the Gorilla gas cage features a unique modular bolt-together design using individual Galvanized panels, making it quick and easy to erect and dismantle. Suitable for use on site or in the storage yard, it comes complete and ready to erect with all fixings, and packs flat when not in use. Gorilla gas cages are available in 16 standard sizes, But can easily be customised to any requirement.